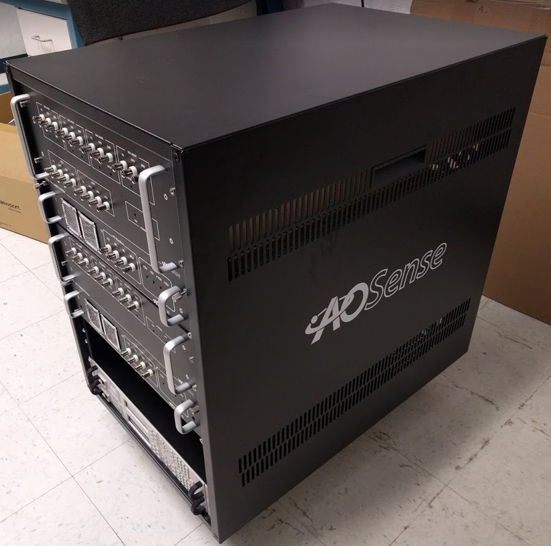 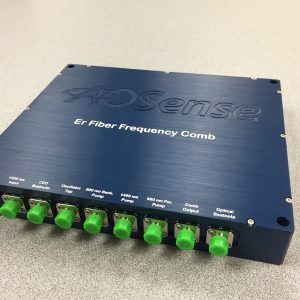 Rack Laser System - AOSense, Inc. Custom laser system design for each customer. 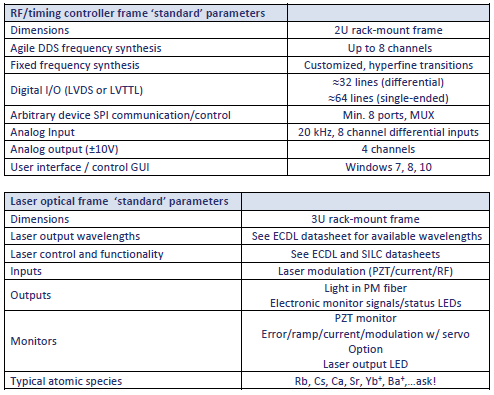 See ECDL datasheet for available wavelengths. 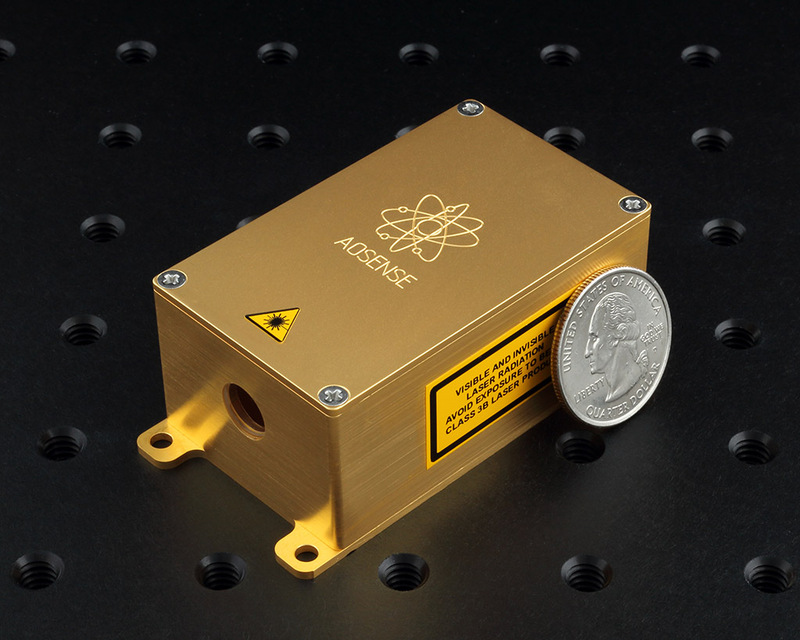 Basic example: cooling/detection laser, repump laser, and ionization laser on fiber output. 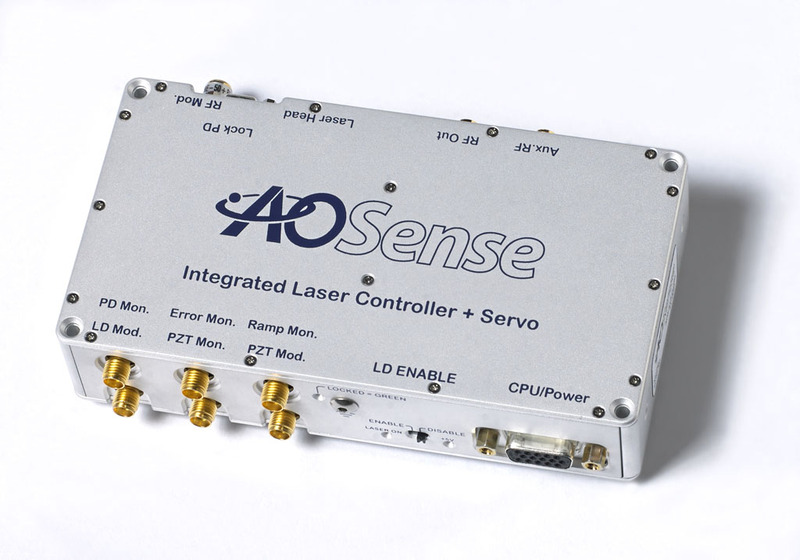 User provides modulation/stabilization – laser feedback ports and electronics provided.